As part of my efforts to be more proactive with greeting cards, I've been on the lookout for unique Father's Day cards in recent weeks. 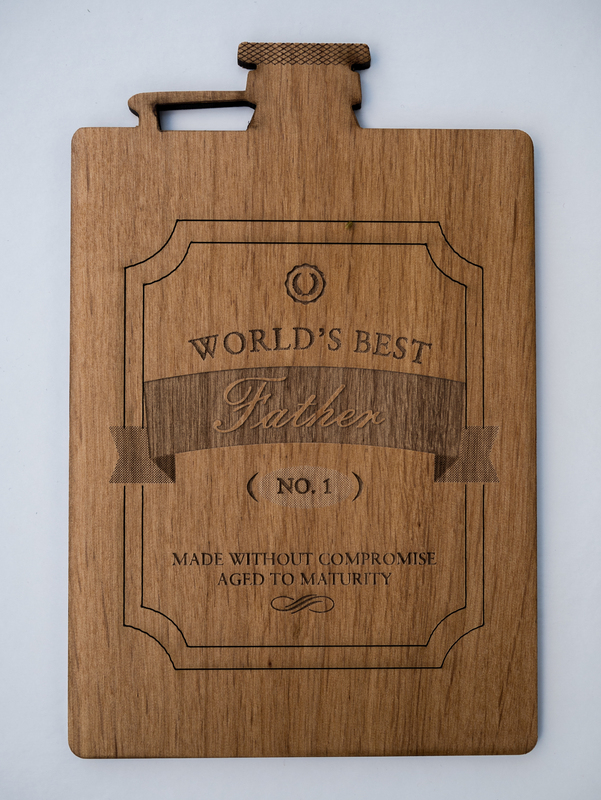 I found several that I really liked, but the Cardtorial laser engraved wood Father's Day card collection tops my list. I went with the "Flask" option, but there are nine other very nice options to choose from as well. The quality of the card is excellent. The wood material feels solid, but the card is still relatively lightweight. The laser cutting and engraving is also amazingly intricate. The messages on the cards strike a nice tone. They have some creativity and whimsy to them without taking it over the top the way that many greeting cards do. Some of the cards are completely blank on the back, while others have a decorative postcard look on the "b-side." 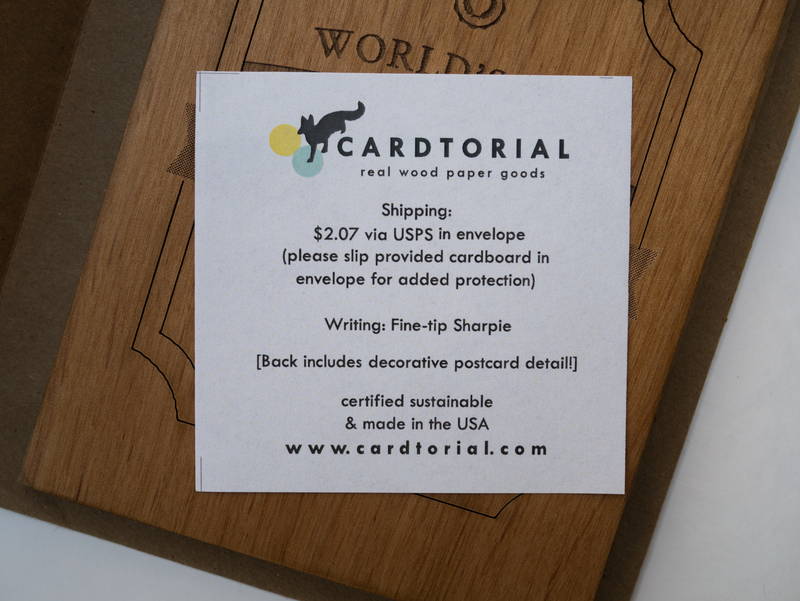 The cards are handmade in San Francisco using certified sustainable wood. They ship with a coordinating kraft paper envelope and a cardboard insert to protect against wood cracks in transit. Also included is a handy slip that answers some likely questions about postage requirements and optimal pen choice. You can purchase the cards online on the Cardtorial web site, or there is also a list of brick and mortar shops that carry Cardtorial products. The cards are $10 plus $3.50 for shipping. There is an option to add custom engraving for an additional $7.50. The is obviously a premium over a standard greeting card, but Dad's worth it, right?